Cotek SP-4000-148 - Solacity Inc. 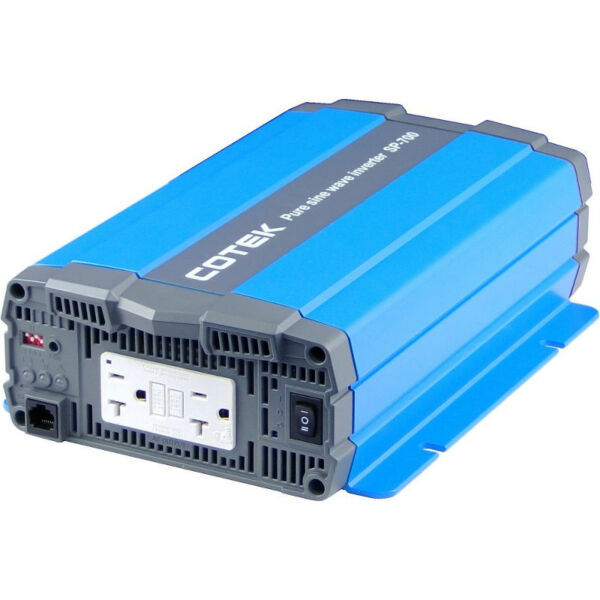 The latest SP series pure sine-wave inverters, ranging from 700 Watts to 4000 Watts, implement state of the art design technology with advanced functions such as a wide DC input voltage and broad operating temperature range. The SP series’ low profile and stylish design makes it even more user friendly. The built-in multistage power saving control function saves your battery power for when you need it the most. 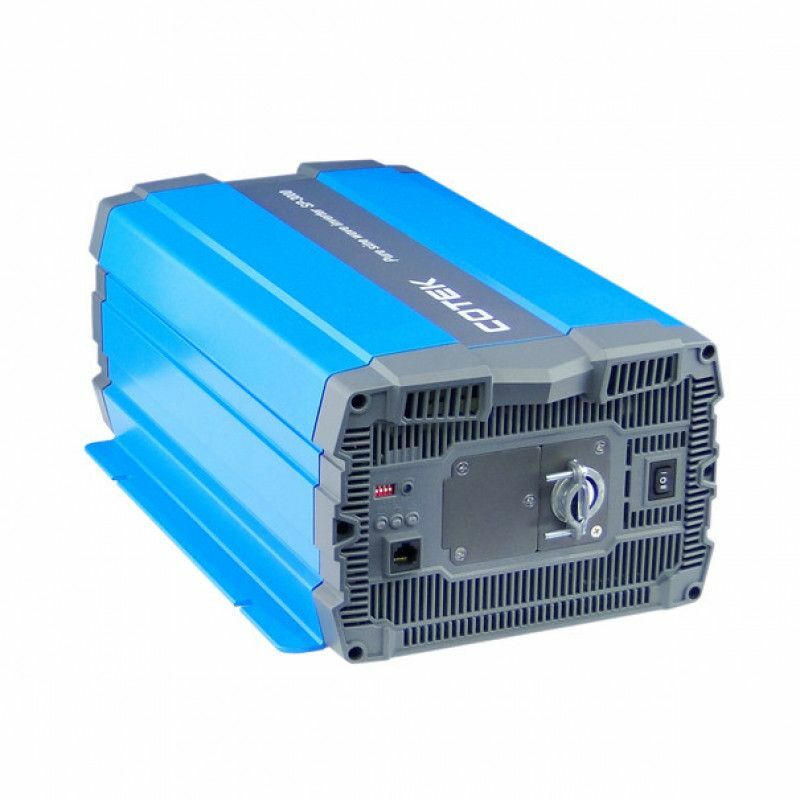 Offering quality pure sine-wave output and high surge, the SP Series inverters are ideally suited for electrical systems that already have a a quality battery charger.